By grouping my books together I was forced to rethink the common confines of a regular bookcase. Like most bookshelves, mine had some smaller shelves and some larger ones. Normally you would put the books in by size, however by doing it by colour you have to rethink the entire process and sort the books into piles first and arrange on the shelves however best they'll fit. 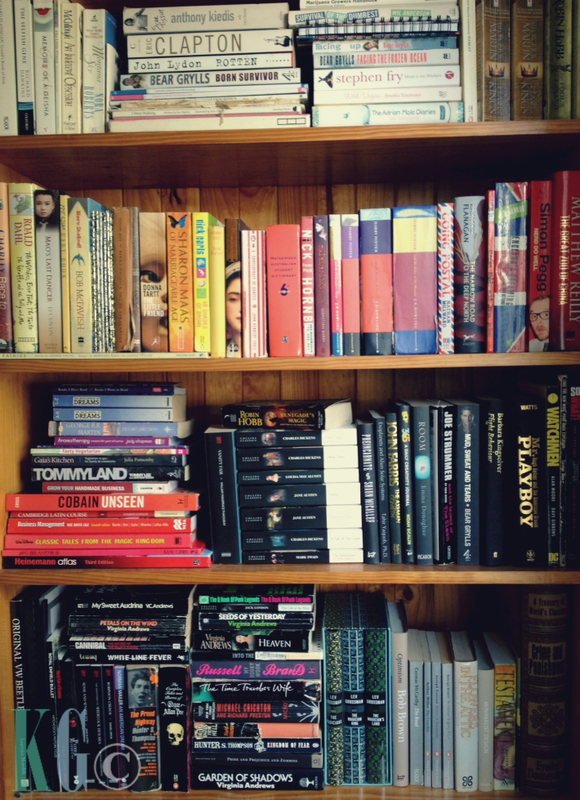 See how my shelves are now colour coordinated? Of course it would have been a splendid idea to have before and after shots so you could see just how messy my shelves were before this process... but seriously, no one wants to see that! It was horrible and looked completely overrun. Plus I'm a bad blogger and didn't think this thing through. 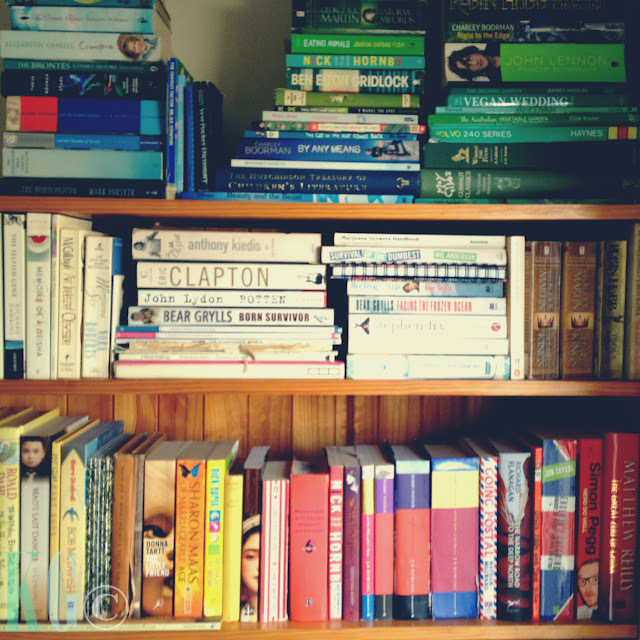 Grouping my books by colour and sorting them on the shelves this way ^^ freed up so much extra bookshelf space that I was able to add approximately 25 more books on this particular bookshelf. 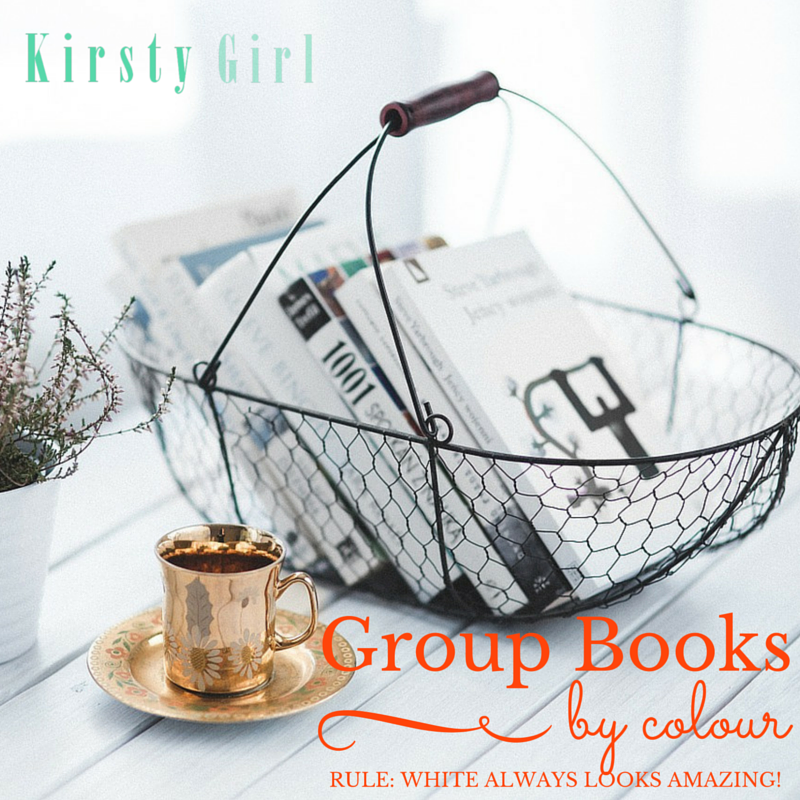 Yes bibliophiles, you read that right! 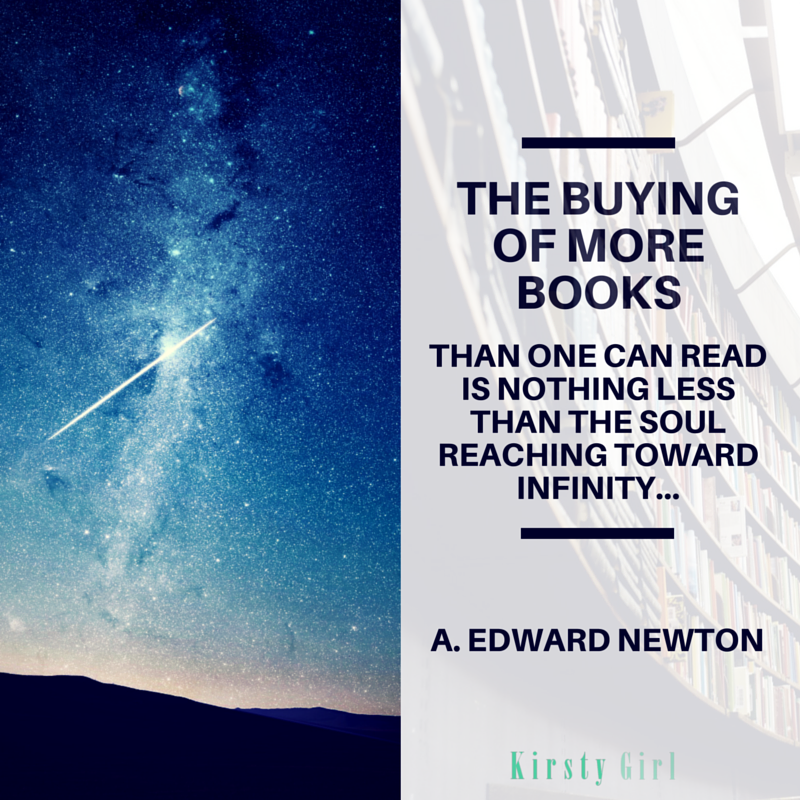 That means that you have my permission to go out and buy as many new books as you like! 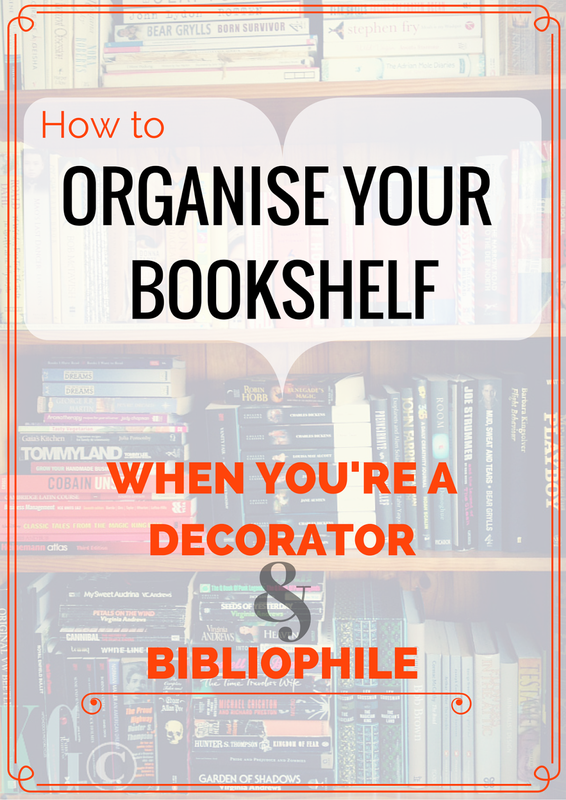 You won't have to feel guilty about piling up books in odd spaces all over the house either. How awesome is that! 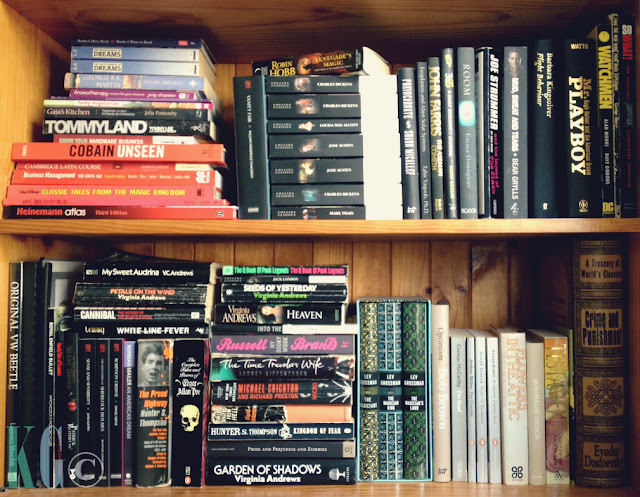 And of course next to the bed to make it look like I was going to read them... when I wasn't. Do you have a favourite way of styling your books on the shelves, or a special trick or tip for freeing up that ever so precious bookshelf space?